I came back from our Japan trip last year with a fairly decent haul of Suntory whisky, so you’ll have noticed a theme in my whisky tasting lately! 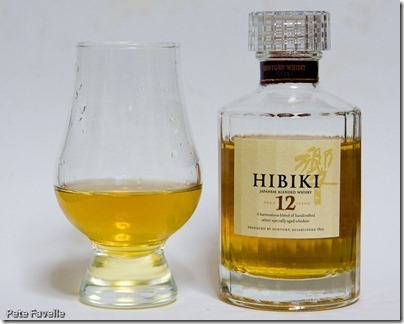 This is Hibiki 12 Year Old, from Suntory’s blended range. I’ve previously been impressed by the Hibiki range, so I’m curious to see how the baby of the collection stands up. The nose is light, with a slight sugar sweetness underneath quite a raw grain alcohol tone. There’s also a hint of peardrops once the whisky has aired a while. Water reduces the sweetness but leaves that raw, unsophisticated alcohol edge. The initial impression in the mouth is also of the slightly harsh, raw alcohol. At the same time, the sugary nose comes through as a slightly sticky syrupiness. Water calms it down a little but I’m still left with a harsh, and surprisingly young tasting whisky. It’s perfectly drinkable, but overall it’s a young, raw tasting dram that lacks the smoothness that I’d expect from a 12 year old. As such, it only earns 2 stars. 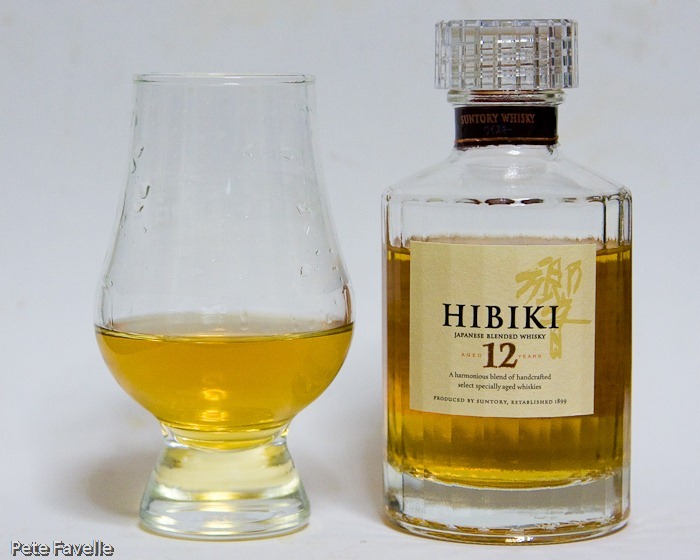 Other reviewers seem much keener on this whisky; if you’d like to try it yourself Master of Malt currently list the Hibiki 12 Year Old for £41.83. I’m afraid I don’t sell whisky at all, but the folks over at Master of Malt certainly do!